Nope, it’s not the set design for a Jetsons revival film; not even for the upcoming Blade Runner 2. 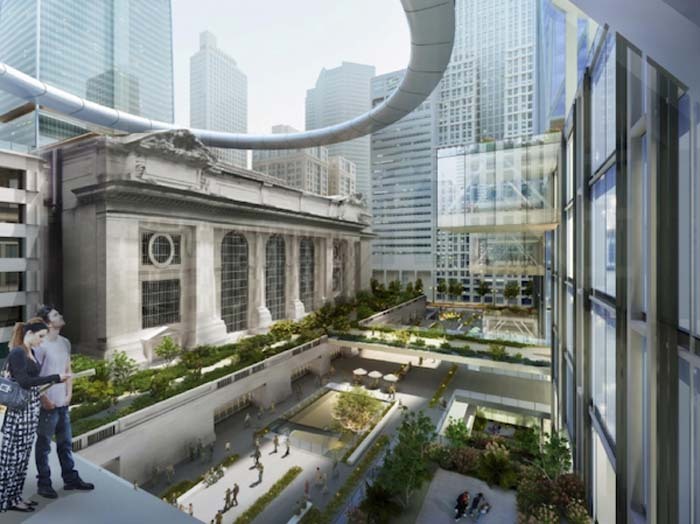 These renderings are SOM’s (Skidmore, Owings & Merrill) response to the Municipal Arts Society’s (MAS) invitation to re-envision Grand Central and its environs on the occasion of the terminal’s centennial anniversary next year: Grand Central…The Next 100 project. The three firms asked to participate were SOM, Foster+Partners, and WXY. All three came up with interesting proposals offering relief from overcrowding and traffic, as well as being committed to the pedestrian and public space, focusing on converting Privately Owned Public Spaces (POPS) to Privately Funded Public Spaces (PFPS). 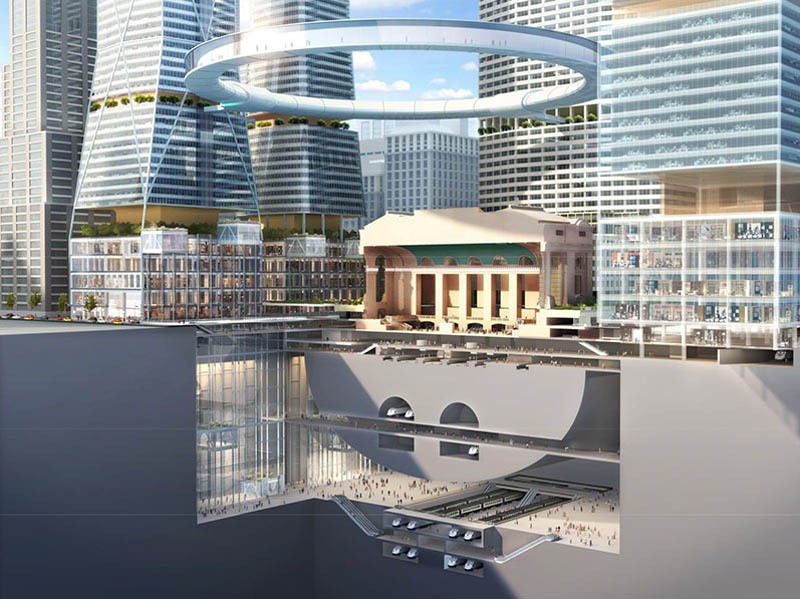 SOM went futuristic and monumental, a plan that is hard to ignore with its dramatic panoramic ring rising and lowering above Grand Central—like a halo elevator—between two new towers. Photos courtesy of SOM, Architect’s Paper, and bdonline.